This charming site sits at the confluence of the Dordogne and Vézère rivers and is an excellent base for exploring this part of the Périgord. 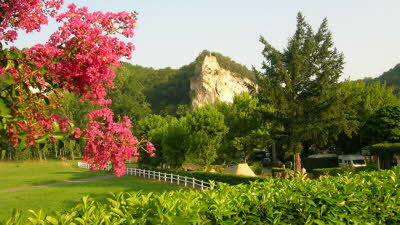 The site itself exudes the easy-going attitude of the region and feels relaxed and peaceful even when busy in high season. 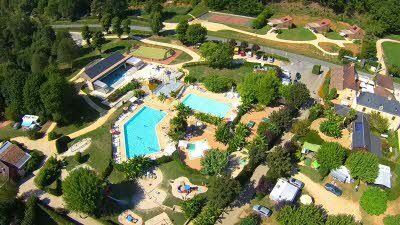 There’s direct access to a pebbly beach and the River Dordogne for bathing, and there are pools and sports facilities for children. 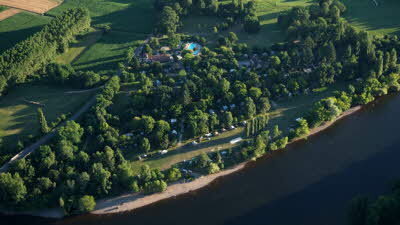 Pitches are open and unmarked along the river bank, while those set further back are shaded by mature trees. Opposite the site is the pretty hillside village of Limeuil, and the towns of Sarlat-a-Canéda, Bergerac and Périgueux are little more than an hour’s drive. 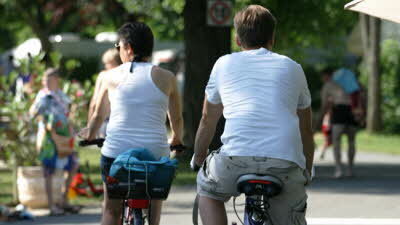 For the active, canoe and mountain bike hire is available, and fishing is permitted in the river. 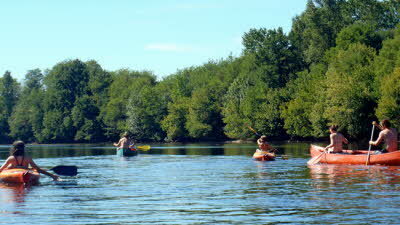 Limeuil, Le Bugue, Proumeyssac Caves, River fishing (permit required), Canoeing on River Dordogne. From the A89/E70 take exit 16 (Angouleme). Then take the D6089 towards Brive la G/Perigeux/Sarlat & Le Bugue, then take the D710 (Sarlat) and continue for 18 miles / 30km. In Le Bugue continue to the roundabout and take the first exit D31E towards Le Buisson/Fumel in 5miles / 8km turn right on the D51 (Limeuil) in 0.8 miles / 1.3km turn left on the D51E (cross over bridge) site entrance will be on right hand side. 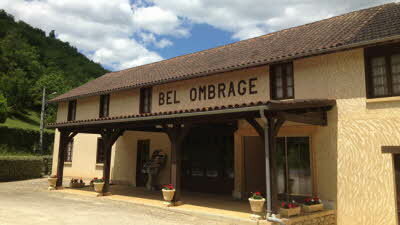 I've just stayed here for a week and was sad to leave - always a good sign. I received a friendly and helpful welcome at reception before being showed to a good sized hardstanding pitch. 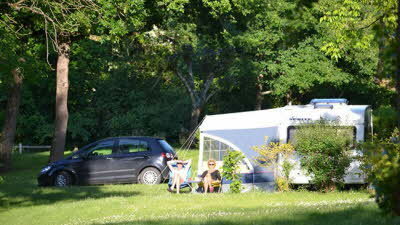 The site has everything that you need and is in a lovely location - I visted Bergerac by train and Le Bugue by bike. This is now a site on my "must return to" list. We stayed here back in 2004 and it was near perfect then. We stumbled upon this site while touring with our caravan back in 2004. When we found it we quickly returned to the site we were staying on, packed up and moved the Port de Limeuil, it was so stunning. 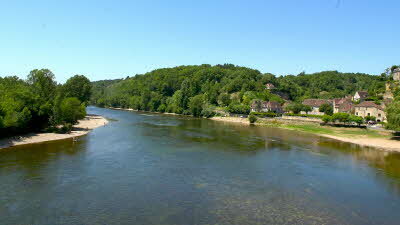 The site is on the banks of the Dordogne at its confluence with the Vezere, you can walk straight out onto the stony river 'beach' from the site. There are also picturesque bridges across each river within easy walking distance from the site. 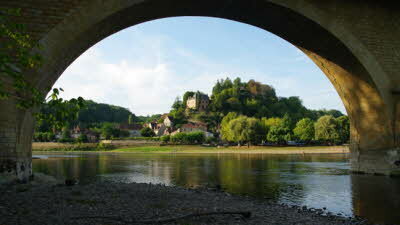 Across the river is the stunning little village of Limeuil, perched on a hill and this is a must to visit. We were there for Bastille Day (14 July) and there was a small fair on the river bank and we sat outside our caravan and watch the fireworks above the village. 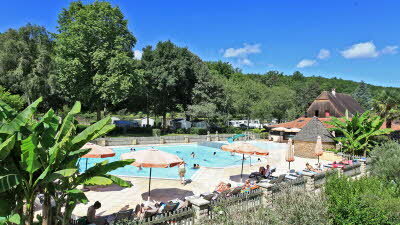 The highlight of this site is swimming in the Dordogne! The wide river flows quite fast over the stony bed and this makes for exhilarating rides down on the current simply by sitting down in the water and leaning back. This site is so good that we returned for a day visit while staying at La Tournerie in Montignac in 2015. 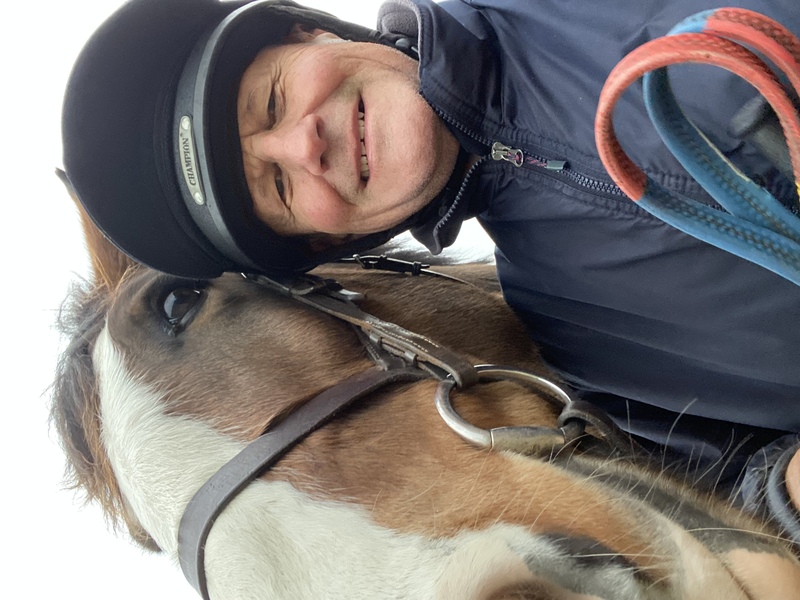 The site has grown and was busier that 2004, understandably, but the facilities on the site have been increased and are good and well cleaned. 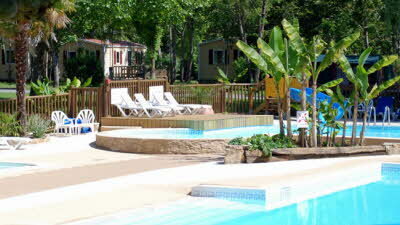 Excellent pool and shops, this site is well place for exploring the Dordogne and Vezere valleys. 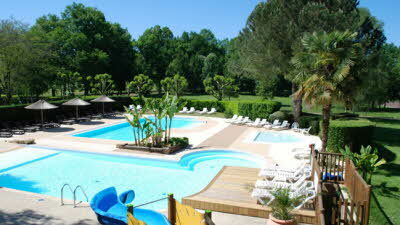 We are going back during our annual France Tour this year and will stay for longer.